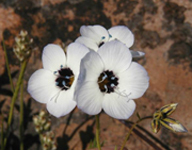 This year in Chico, while “Looking to the Future—Conserving the Past,” the Botanical Society of America recognizes more than 100 years of scientific achievements in the botanical sciences and strategically plans for future advancements. Help us celebrate our rich heritage and strengthen our collective vision. Plan to attend the plenary address by Betty Smocovitis, when she highlights the history of the BSA. Peter Raven, President of the Missouri Botanical Garden, and Edward Schneider, President of the BSA and President/CEO of the Santa Barbara Botanic Garden, will host a special awards ceremony to honor more than 100 scientists who have contributed significantly to the advancement of our science and our Society. Chico State is located 90 miles north of Sacramento and 174 miles northeast of San Francisco. Conference hosts will make available special services to ensure that transportation to and from Sacramento International Airport will be a convenient and enjoyable part of the conference experience. Air service directly into Chico is available when connecting through San Francisco. Chico is a great location for Botany 2006, just a short drive from Mt. Lassen Volcanic National Park to the north and less than three hours away from Lake Tahoe to the east. CSU, Chico was founded in 1887 and is the second oldest California State University campus in the 23-campus CSU system. The 9-acre campus features a tasteful blend of historic buildings and modern conference facilities and amenities. Little Chico Creek flows from the Sierra Nevada Mountains and through an arboretum that forms the center of campus. With a student population of nearly 16,000 students from 49 states and 66 nations during the academic year, CSU, Chico is the perfect summer location for the various activities that will be part of Botany 2006. From exciting field trip destinations to the beautiful campus and a lively downtown for shopping and dining, CSU, Chico and the Chico community will make this conference experience one of the best yet. "From science and education to technology and leadership, CSU, Chico has welcomed conference participants from around the world. We look forward to welcoming you to northern California for this annual meeting and anniversary celebration." Oldest shirt wins a prize!